The health benefits of Lemon Grass (Melissa Officinalis) is a lemon-scented plant from the same family as Mint. Lemon Grass has been used for a long time to treat anxiety, sleep disturbances, indigestion and wounds. There are the most useful parts. The most useful parts are leaves. Lemon-scented leaves can be used as tea, as a condiment in meals, to create perfume oil and repel insects. Lemon grass has been a part of traditional treatment for centuries due to its relaxing and sedative properties. Health benefits are mainly influenced by active compounds, including tannins, flavonoids, rosmarinic acid, citronelal , eugenol and other polyphenolic compounds , as well as copper, manganese, zinc and various vitamins. • Can be used with mint in various dishes. It is also compatible with the widely used spices, black pepper, oregano and parsley. It can also be mixed with juice and syrup. • Can be consumed as tea. Make a paste of honey and cinnamon powder, apply on the pimples before sleeping and wash it next morning with warm water. • It can be applied to sores like herpes. 1.) Calm the symptoms of stress, calm the mind and help you relax. 3.) From a study, it has been shown to help alleviate heart palpitations. 4.) Regulates heart rhythm disorders. Arrhythmia means that the heart beats faster or slower than needed, or that the heart beats at irregular intervals. 5.) Lemon grass reduces premature beats in the heart, tachycardia and fibrillation without causing any adverse side effects. Important Note: Studies have shown that lemon grass can be used to heal wounds caused by herpes. Ointment containing lemon grass has been found to reduce the healing time of both genital and oral herpes. Lemon grass can also be applied directly to the herpes. For cold sores and herpes sores; 2 to 4 teaspoons crushed lemon leaves 1 cup boiling water for 10 to 15 minutes to soak. Then apply this mixture to the wounds throughout the day with cotton. 6.) Helps to reduce the symptoms of sleep disorders during menopause. 7.) It encourages restful sleep especially for those who have difficulty falling asleep. 8.) When applied to the skin reduces the appearance of fine lines. 9.) Lemon grass also contains essential components such as caffeic acid, p-kumaric acid and rosmarinic acid, which work together to support the body’s natural response to harmful organisms that cause lip stains. 10.) Enhances memory and improves problem solving skills. 11.) A study showed that lemon grass helps to revitalize memory and improve mood. A phytochemical in lemon grass suppresses enzymes that break down neurotransmitters responsible for memory and thought. 12.) Some medical studies have shown that Lemon Grass tea can help treat the symptoms of Alzheimer’s disease. Research shows that it can help reduce agitation and improve cognitive function in people with Alzheimer’s. Studies show that lemon grass can improve memory and reduce the anxiety of people suffering from Alzheimer’s disease with mild to moderate severity. 13.) Supports the digestive system, helps to calm stomach and intestinal discomfort. 14.) It is a powerful antioxidant. It helps fight free radical damage. Scientific Work: Glioblastoma multiform (the most common primary malignant brain tumor in all brain tumors). It is also the most common type of cancer in women. * )is highly effective against a specific cancer known as. This type of cancer spreads rapidly in the brain. A study in 2014 found that lemon grass essential oil causes apoptosis (spontaneous cell death) in these cancer cells and stops the expression (production) of a protein known as MRP1. MRP1 is partly responsible for the drug resistance developed by cancer treatments such as chemotherapy. 15.) Antioxidants help the body fight against different types of cancer (the most common type of liver cancer and two different types of leukemia). 16.) It also provides protection against neurodegenerative disorders caused by overexposure to manganese. 17.) Supports liver health. It helps to remove harmful compounds that accumulate in the liver over time. 18.) Strengthens immunity. This plant has antibacterial and antiviral properties, which have components such as caffeic and rosmarinic acid. It effectively prevents infection in healthy cells. 19.) Oral infections can be used to treat problems such as gum bleeding and bad breath. Mix a few drops of lemon grass essential oil with a gargle and use it to gargle. It will kill bacteria and refresh the inside of your mouth. 20.) Sedative (sedative) and analgesic (painkillers) with the help of features of menstrual cramps and premenstrual syndrome (PMS) alleviate. It also relieves anxiety and mood swings associated with menstruation. • Excessive consumption, as in every food damage the body. Therefore, be careful not to consume too much. • You should not use lemon grass if you are allergic to any type of fungus, such as peppermint. • For any reason, we recommend that people who are using drugs (especially glaucoma drugs, thyroid drugs, HIV drugs, barbiturates, sedatives, serotonin-affecting drugs) consult their doctors before using lemon tu because they can interact with drugs. • People with hypothyroidism should not use lemon grass. • Pregnant and nursing women should consult their doctor before using lemon grass regularly. 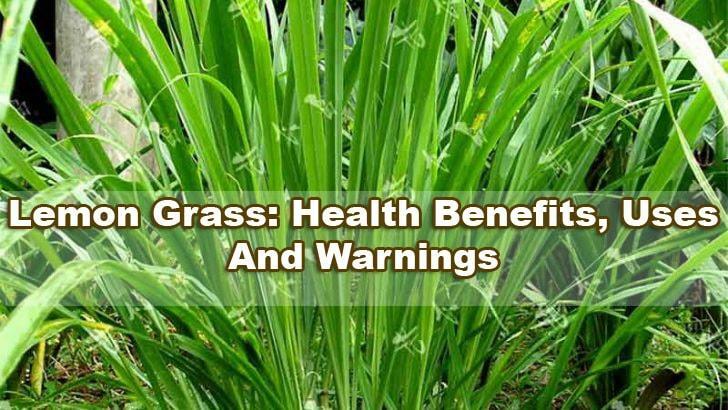 • People who will undergo surgery or during recovery should not use lemon grass in any way. In these stages, general sedatives are used and the addition of lemon grass may interact with anesthetics. • Lemon grass should only be used for a short time. It is a week’s vacation after use every three weeks. You should not take lemon balm for more than four months at a time. 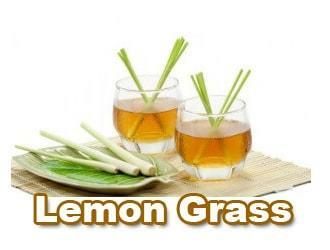 • Possible side effects of lemon grass include headache, painful urination, increased body temperature, nausea, vomiting, abdominal pain, dizziness, wheezing and skin irritation.